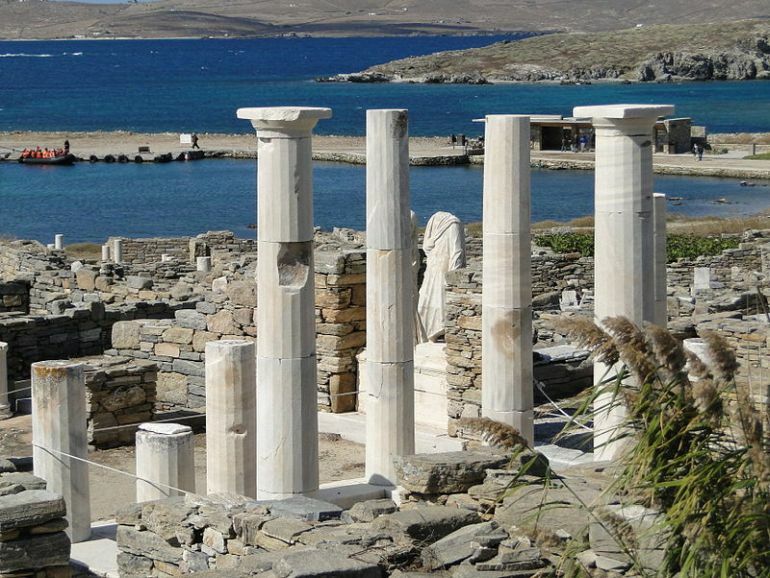 The island of Delos, located near the center of the Cyclades archipelago (east of mainland Greece), carries forth its unique historical legacy that is rather flavored with mythological anecdotes and legends. To that end, the island in proximity to the modern-day tourist hub of Mykonos, was known to be the mythical birthplace of Apollo and Artemis. And now researchers, bolstered by Greece’s Central Archaeological Council, are looking forward to restore many of the incredible monuments on the site, aided by a 550,000-euro grant from the Paul and Alexandra Canellopoulos Foundation. 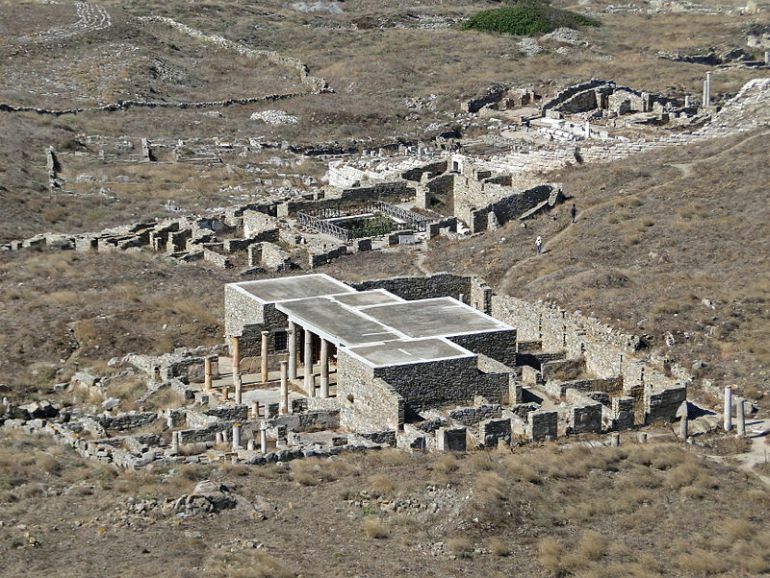 Now when it comes to history, even before Delos’ association with Olympian gods, the isle was actually known for its sacred sanctuary, with its cult center rather thriving from circa 900 BC (which later morphed into a Panhellenic religious scope). As for archaeological evidence, the site was probably inhabited since 3000 BC, suggested by the remnants of ancient stone huts in the area. 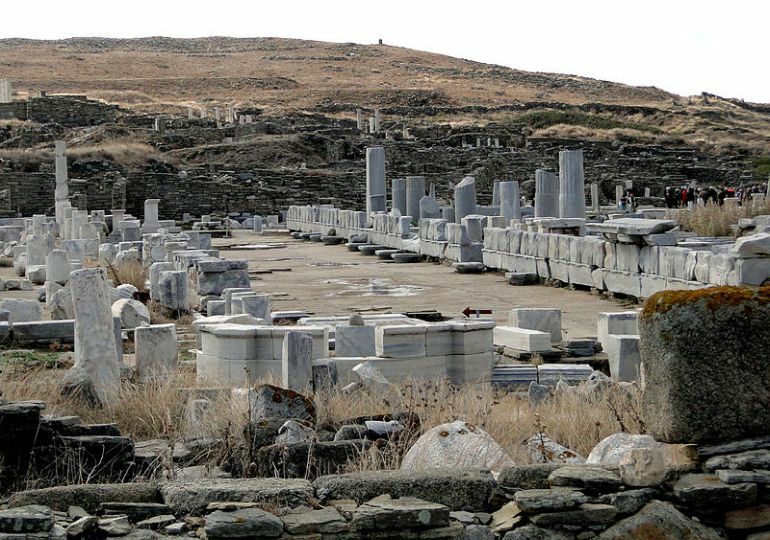 The Sacred Way in Delos. Credit: Bernard Gagnon/ Wikimedia Commons. Delos is a small island, where the salt corrodes everything. Architectural elements in such a hostile environment degenerate rapidly. Their restoration on the monument will greatly reduce the wear. Taking all of these factors into consideration, the ephorate administrators are trying their best to garner support from both EU and state funds by even pushing such restoration endeavors as ’emergency’ preservation projects. 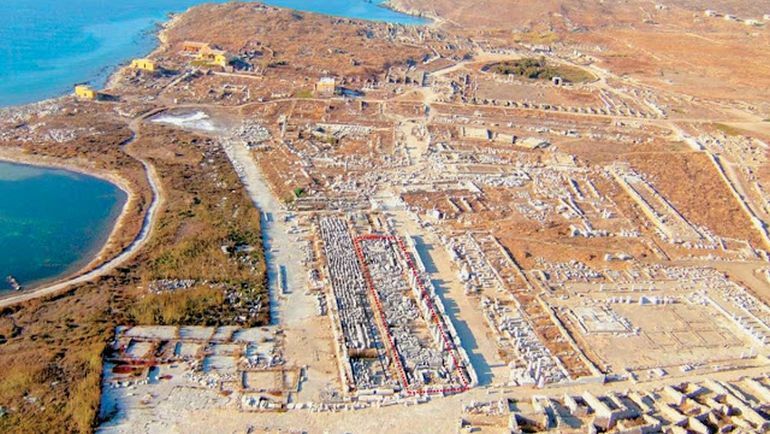 Athanasoulis admitted that his grand plan does entail making Delos an archaeological hub just like Pompeii, which in turn could attract millions of euros in funding restorative actions. House of Cleopatra and Dioskourides in the isle. Credit: Bernard Gagnon/ Wikimedia Commons. The House of the Masks. Credit: Bernard Gagnon/ Wikimedia Commons. 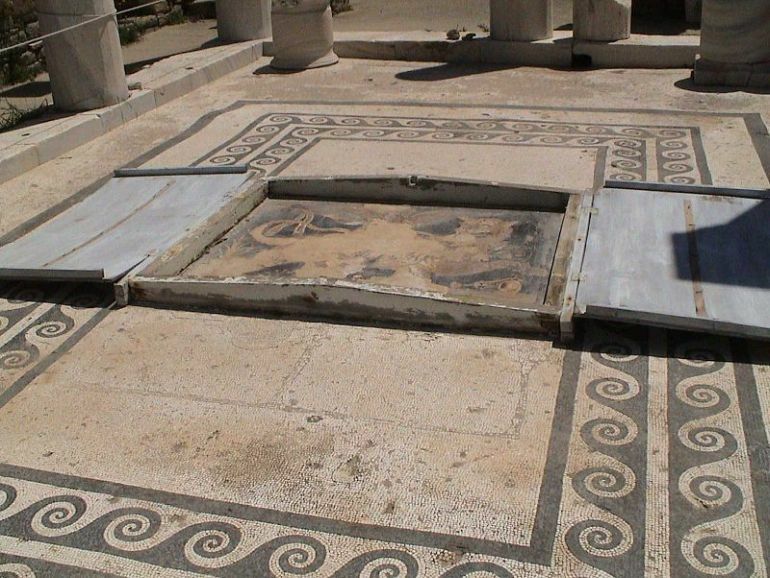 The intricate floor mosaic at the House of Dionysus. Credit: NikoSilver/ Wikimedia Commons.